NECKLACE - SARAH COVENTRY. 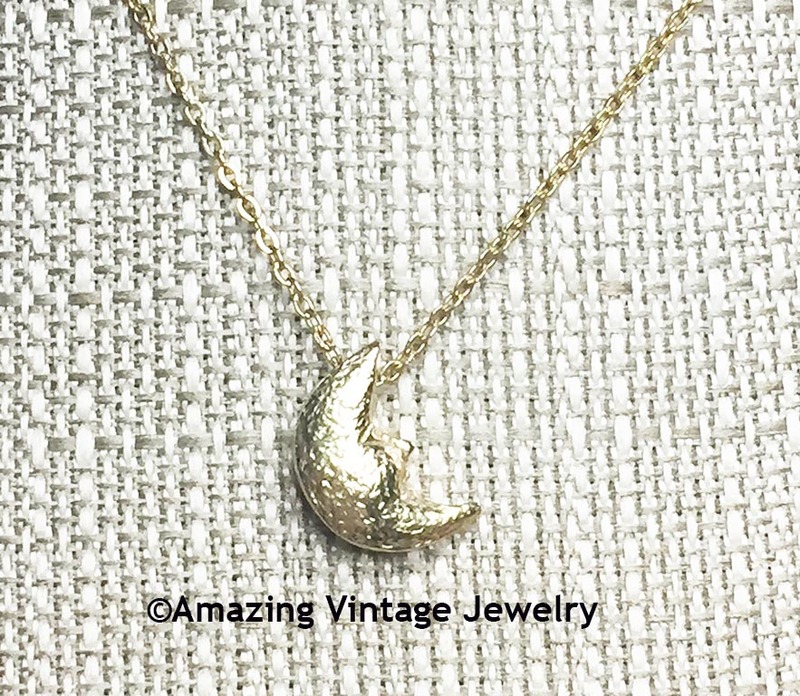 "MOON LUV" CHOKER FROM 1976. 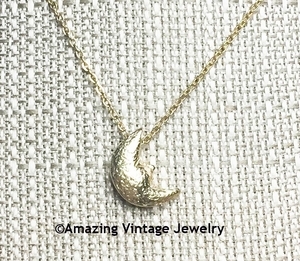 3-D TEXTURED GOLDTONE CRESCENT MOON WITH FACE. PENDANT IS 9/16" LONG, 1/2" ACROSS. CHAIN IS ADJUSTABLE TO 14" AND 16" LONG. VERY GOOD CONDITION. RARE - THIS IS THE FIRST ONE I'VE EVER SEEN IN PERSON!